This pan-fried udon noodle dish can be a light yet satisfying meal. We like having noodles for lunch. 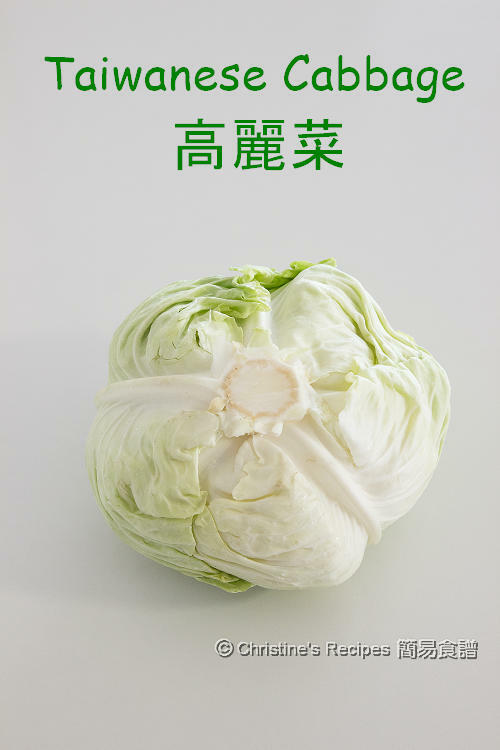 The cabbage I used was Taiwanese cabbage (高麗菜 “Gao Li Cai” or 捲心菜 ”Juan Xin Cai” in Chinese). It apparently looks different from Napa cabbage, and easily confused with those cabbages you often see in western supermarkets. I call it as Taiwanese cabbage as it’s often used in Taiwanese cuisine, often stir-fried dishes. It tastes sweet without any bitterness. You can easily get this kind of cabbage at any Asian grocers. When it comes to making this dish, make sure not to over-cook the udon. 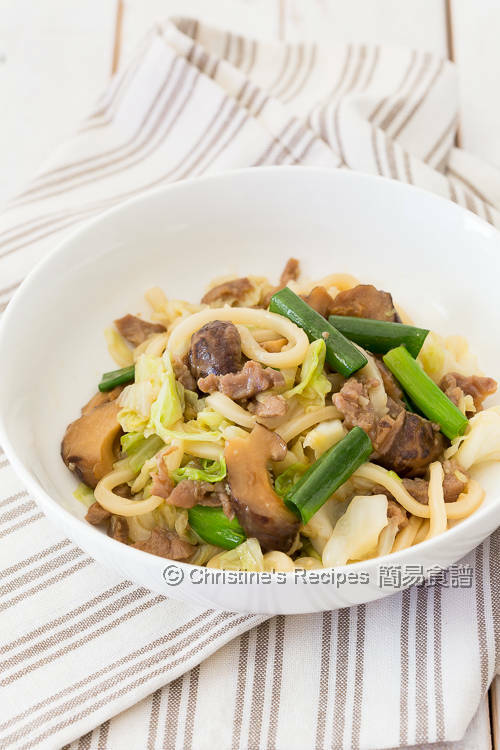 It’s a good idea to stir fry and cook through all the vegetables and meat first, then quickly combine udon at the last stage. By doing this, the udon noodles will retain its al dente texture. The noodles will quickly take up all the umami tastes anyway. 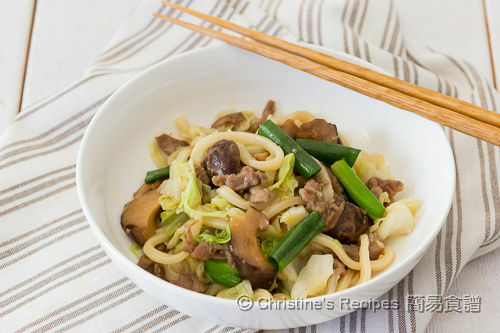 You’ll love this humble yet delicious noodle stir-fry dish. Rinse cabbage and drain dry. Roughly chop into smaller sizes. Julienne the pork and mix well with marinade. Lightly squeeze excess water out from shiitake mushrooms. Slice and mix with marinade. Set aside. Quickly blanch the noodles until just loosen up. Don’t over-cook it at this stage. Immediately drain out the noodles. Set aside. Heat oil in a wok or fry pan over medium heat. Sauté mushrooms. Add pork. Stir fry until the pork is cooked through. Set aside. In the same wok, add a little more of oil. Sauté garlic. Add cabbage. Stir to combine. Pour in chicken stock (or the mushroom soaking water). Cook until cabbage softens. Mix in udon noodles. Increase heat to high and heat up the noodles really hot again. Toss back the pork and shiitake mushrooms. Stir in the sauce. Add spring onion. Stir to combine. Serve hot. The udon noodles I used are frozen, available at Asian grocers. While blanching the udon, make sure not to over-cook them. You just get them loosened. Otherwise the noodles will become mushy after stir-frying. If you use fresh udon noodles, you don’t need to blanch them. You may replace pork with chicken. It’s equally delicious. 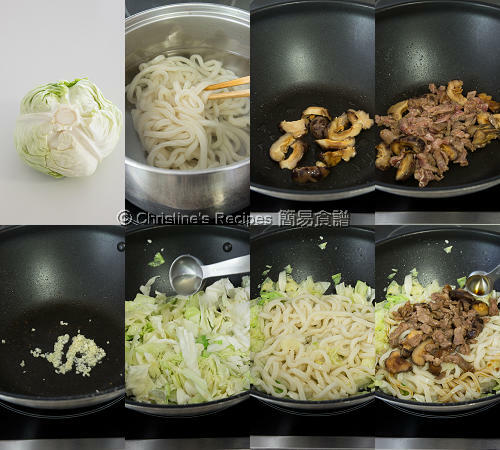 You may use any kinds of cabbage instead, if you can’t find any Taiwanese cabbage. Simple and delicious! 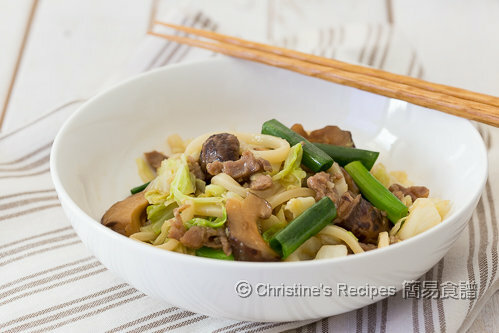 I love quick noodle stirfries like this for lunch.